We wanted to paint a feature wall in our bedroom for awhile now. I shared with you recently about how we picked three Glidden Paint Testers and tried them on our wall. Well, we chose to go with the Delicious Plum color, the one in the middle. I thought it was the most “masculine” purple, if there is such a thing. As it is also my husband’s room we wanted to pick something that he was comfortable in too. The Delicious Plum had the most blue undertone and didn’t drift to the pink side. 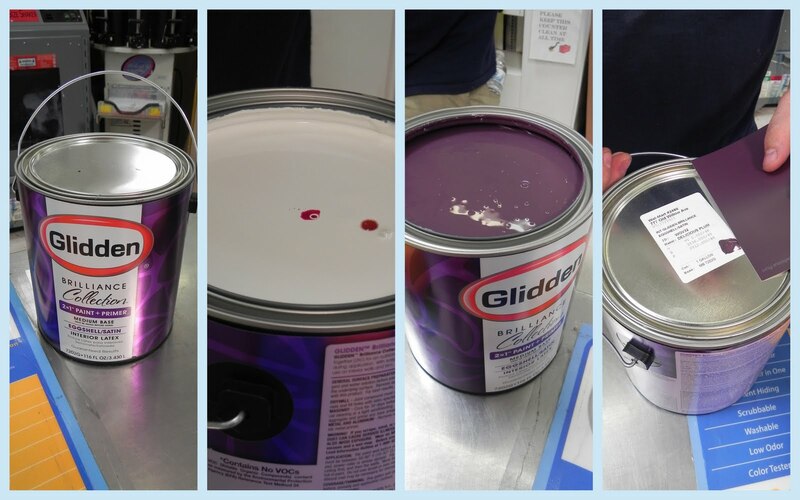 We went to Walmart and had them mix a gallon of the paint in the Satin sheen. It came out exactly like the oversized paint chip! It was covering very well, probably because the Glidden Brilliance paint has the primer in it. We painted again and then put the furniture back. We both love it. It is the deep, rich color that we imagined to anchor the room. We love the wow factor when you open the door and see it, and by only doing it on the one wall it keeps the room from getting too dark and heavy. This has inspired me to get going on a bit of a all over room makeover. I have decided to make a new duvet in a crisp white that I think will play off the the beautiful color of the wall. I have also been scouring the internet and stores to find the perfect bedside lamps. I can’t wait to keep going and finish making the bedroom a relaxing and restful place for us. love that colour! once we used the primerpaint we never looked back, it turns out so awesome! SO nice, love that color! I love the richness that color adds to the room. What a great choice. It really changes the look of the room. I really like how it turned out. I think the color choice is great. I have been wanting to do a feature wall in our living room……..
What is the name of the third tester paint color? 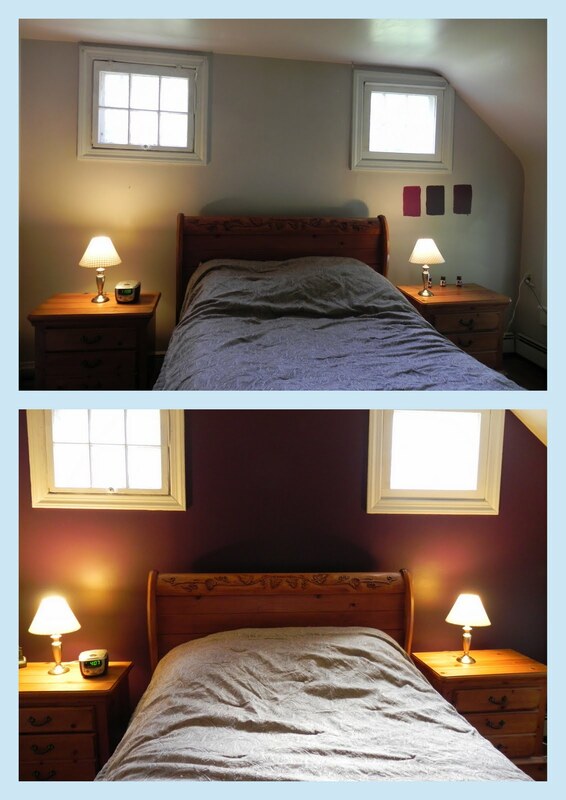 I'm about to paint my bedroom a purple shade using glidden and I really like that color. If you remember please let me know. Thanks!